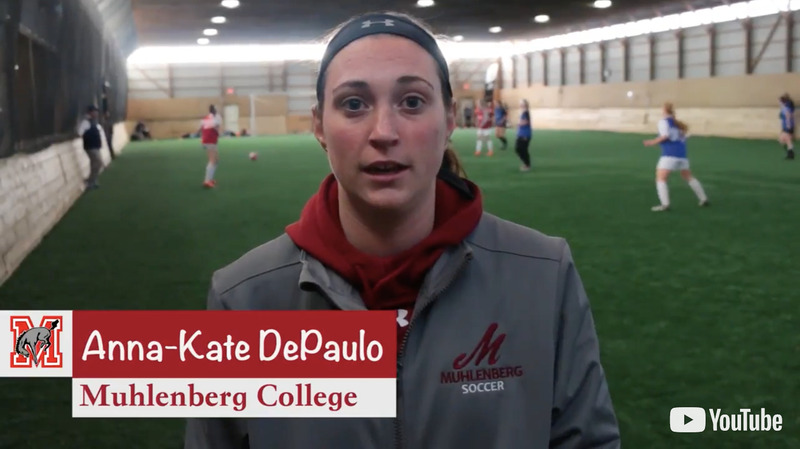 Anna-Kate DePaulo from Muhlenberg College tells recruits to make their interest in a school known from the get go with research and personality. "I think it's really important to have some personality in your emails and show an interest by knowing a lot about the program, knowing a lot about the school, having your facts and your research done. And I think being persistent cause like you said, you get a lot of emails. And following and checking in to show that you truly are interested is very important."